Major Industries, a leader in daylighting for more than thirty-five years, prides itself on creating long-lasting, field-tested products that are both beautiful and functional. The following examples are just a few design possibilities available with our Guardian 275®, Clima-Tite™ and LightBasic™ translucent panel systems, our IlluminPC™ polycarbonate multi-wall systems and Auburn® glass and mixed glazed skylights. ENTRANCES: Welcome students and teachers and protect them from the elements with a bright and welcoming outdoor canopy or “pass-through” skylight that draws people in to the facility. CLASSROOMS: Natural light has been shown to improve student focus and test scores (see details on reverse), and Major offers a wide variety of daylighting systems that allow for numerous design options plus light control and ventilation. Major can also create mixed glazed systems in both skylight and wall system configurations that offer views to the outdoors and occupant control of ventilation while retaining the thermal performance and light control benefits of translucent panels. HALLWAYS: Open up confined spaces by incorporating a skylight or row of multiple skylights - they’re perfect for illuminating well-traveled areas with natural light. GATHERING AREAS: Cafeterias and common areas are more welcoming when enhanced with natural light—and the cost savings can be tremendous when compared with having to light these spaces solely with artificial lighting, especially since they’re at their busiest during peak energy use hours. SPORTS FACILITIES: Large gymnasiums and pool areas require a tremendous amount of artificial light. 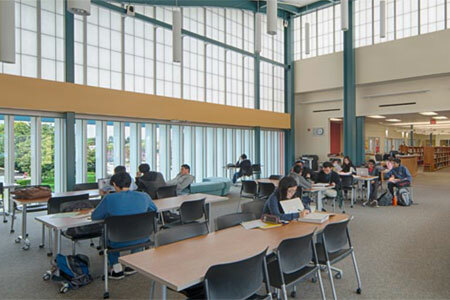 Cut energy costs and offer students the natural comfort of daylighting. Guardian 275®, Clima-Tite™ and LightBasic™ translucent panel systems are the perfect solution for bringing glare-free, impact-resistant daylighting to athletic facilities. Well-designed daylighting has long been shown to have significant economic payoffs such as reduced demand for electricity, but it’s important to remember that natural light can boost student health and general mood, illicit better behavior, and increase focus. Students with the most daylighting in their classrooms also progressed 20% faster on math tests and 26% faster on reading tests in one year than those with the least amount of daylighting. Students with well-designed skylights in their classrooms - ones that diffuse the daylight - also improved 19-20% faster than those without a skylight (according to Daylighting in Schools, Condensed Report, Heschong Mahone Group).